Russia is ready and looks forward to restoring bilateral relations with the United States, Russian President Vladimir Putin said, commenting on the news of Donald Trump’s victory in the US presidential election. “We heard [Trump’s] campaign rhetoric while still a candidate for the US presidency, which was focused on restoring the relations between Russia and the United States,” President Putin said, speaking at the presentation ceremony of foreign ambassadors’ letters of credentials in Moscow. “We understand and are aware that it will be a difficult path in the light of the degradation in which, unfortunately, the relationship between Russia and the US are at the moment,” he added. 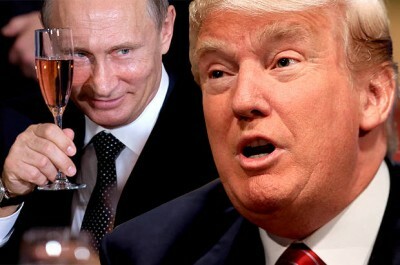 Earlier today, in a message to Donald Trump the Russian President expressed confidence that the dialogue between Moscow and Washington, in keeping with each other’s views, meets the interests of both Russia and the US. The Russian leader noted in the message that he hopes to address some “burning issues that are currently on the international agenda, and search for effective responses to the challenges of the global security,” RIA Novosti reported. “The current US-Russian relations cannot be called friendly. Hopefully, with the new US president a more constructive dialogue will be possible between our countries,” he said. “The Russian Parliament will welcome and support any steps in this direction,” Volodin added on Wednesday. Commenting on Donald Trump’s victory in the US presidential election, Russian Foreign Minister Sergey Lavrov said Russia will judge the new US administration by its actions and take appropriate steps in response. “We are ready to work with any US leader elected by the US people,”the minister said on Wednesday. According to many observers, US-Russia relations are now at their lowest point since the Cold War. Putin has repeatedly noted that the worsening of Russia’s relations with the US“was not our choice,” however. For things to improve between Moscow and Washington, the US should first and foremost start acting like an equal partner and respect Russia’s interests rather than try to dictate terms, Putin said last month. The US will have to negotiate with Russia on finding solutions to international issues as no state is now able to act alone, Russian Foreign Minister Sergey Lavrov said last week, adding that problems in bilateral relations began to mount long before the Ukrainian crisis broke out in 2014.